>She sure will if she sing a Happy Bday song for Barack obama and mysteriously killed later on. 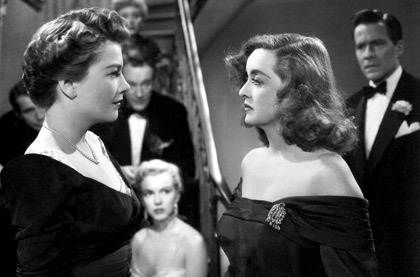 >I love "All About Eve"
>Kamila, eu comparei no sentido de que em poucos anos a Amy pode chegar a ofuscar (se já não está ofuscando) estrelas de "maior calibre", como os protagonistas do filme que citei. Ícone como a Marilyn, eu duvido muito, afinal, MM é e sempre será única.Anonymous, I'm not saying Amy might reach the same iconic status Monroe did, I'm only saying she might outshine big stars like the ones she worked with in this Mike Nichols' film.nursemyra, I love it too. >Awesome analysis. Adams has all the right stuff to command the leading lady role. >What a great catch! Amazing. >Solshine, thanks! I can't wait to see Amy in a leading lady role again.Brigadeiro, achei o filme bom, mas sou muito mais outros trabalhos do Mike Nichols (o diretor do filme), como "The Graduate", "Closer", "Working Girl", etc. E sim, quero trocar links:-)Joanna, thanks! >Great post! Very interesting look at the images. I believe that Amy Adams will, most certainly, shine much more as time goes by.Ciao! >Wally, I think so too, she's gotten undeniable talent and charisma.